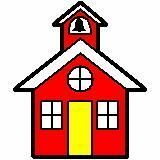 The Smithfield Avenue Nursery School and Kindergarten, provides a place where your child is safe, loved, and learning. The nursery school is a gentle step between “home” and the “outside world”. In a happy, relaxed atmosphere, your child is encouraged to create, explore, discover and experiment. Our primary goal at the Smithfield Avenue Nursery School is to nurture your child’s educational, physical, personal, social and emotional development. With the support of sensitive teachers, a child can learn to cope with frustrations as well as the satisfactions that are derived from interacting with other children. Our diversified curriculum includes age appropriate activities in the areas of science, math, language, literacy, art, music, and movement. At the Smithfield Avenue Nursery School and Kindergarten, we encourage children to explore and learn through play! In addition, we are a Four Star Program under the Bright Rating System! Please browse our website to learn more about our philosophy, our programs, our teachers, and our school.